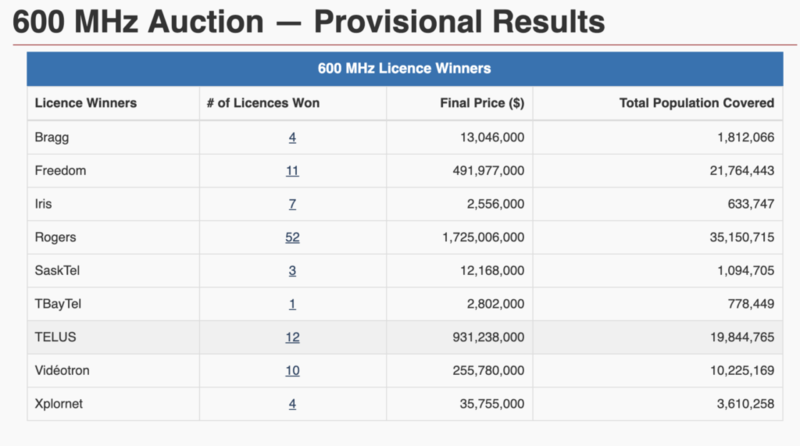 The 600MHz spectrum auction resulted in $3.47 billion CAD with 12 companies participating, Innovation, Science and Economic Development (ISED) said on April 10th. The auction for the coveted 600 MHz spectrum began approximately month ago on March 12th and ended on April 4th. There were 112 spectrum licenses in 16 geographic locations available for telecoms to bid on. There were 54 rounds of bidding that took place over 18 business days. Those that won spectrum licences have until April 26th to submit 20 percent of the total final payment. The remaining 80 percent is due on May 27th. Innovation, Science and Economic Minister Navdeep Bains announced the department was specifically setting aside 43 percent of the spectrum (a total of 30MHz) aside for regional wireless operators and potential new entrants in order to foster competition. In a phone interview, Bains said that it was a very good day for regional players specifically and the results “very clearly complemented” his proposed policy directive. “We want to put consumers front and centre when it comes to lower prices, lower cell phone bills and internet bills. The telecommunications proposed directive was to put consumers before any decision. This spectrum set aside, this auction clearly demonstrates there will be more competition,” he said. Montreal-based national carrier Bell did not win any licences during this auction. When asked about this, he said it was Bell’s decision on how to bid for spectrum. “I mean they can speak to what strategy they deployed but from our perspective, we were very happy with the outcome. We see the regional providers more than double their share of low band spectrum and overall the regional providers have increased that spectrum across the country. That means more competition and where there is more competition that means better services and affordable prices for Canadians,” he said. “Given the supply of other low-band spectrum that Bell already possesses, 600 MHz is not required for Bell to deliver broadband 4G and 5G services,” the company said. “Bell leverages each new generation of wireless network technology to drive renewed innovation and productivity growth, and with 5G we’ll take connectivity further than ever before with smart cities, connected vehicles and other revolutionary service advancements for both consumers and business users,” said Bell’s chief technology officer Stephen Howe. The federal government has held several auctions in the past. More recently in 2015 for the 2,500 MHz spectrum and in 2014 for the 700 MHz auction. In 2008, the government set aside spectrum for the 20 MHz of Advanced Wireless Services auction and after eight weeks and 331 rounds, the auction closed with 292 licenses sold. The Government grossed $4,252,710,327 CAD. Globalive Communications, at the time the owner of Wind Mobile, came out as a strong winner. This time around, the 12 players have gotten a hold of the 600 MHz spectrum licence, which operators are hoping to use in the rollout of their upcoming 5G networks. 5G operates over traditional and new cell radio frequency bands that include the low- (sub-1GHz such as 700MHz), mid- (1.6GHz, around 3.5-3.8GHz), and millimetre-wave (mmWave, such as 28GHz) ranges. 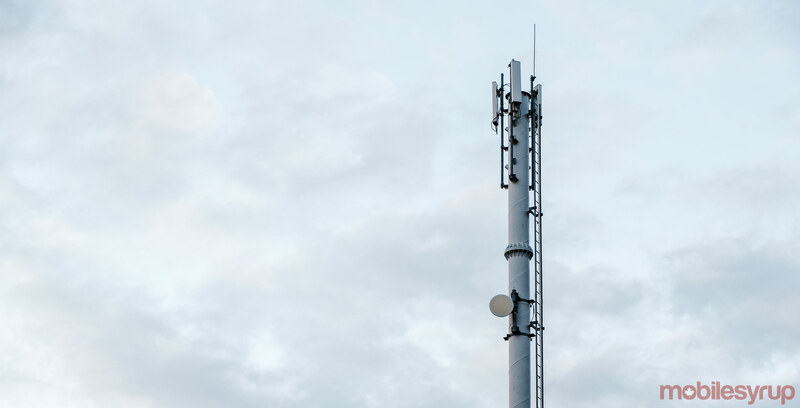 This auction will offer operators a spectrum that is low-frequency and is able to penetrate through buildings and provide long distance coverage. “We’ll be able to enhance services in the Territories. Second, we can now offer the benefits of real competition to consumers and businesses in Newfoundland and Labrador and give them relief from the Big Three wireless oligarchs. This is an important step toward more choices, lower prices and h8igher quality cell phone services for Newfoundlanders, Labradorians and those in remote areas of Canada’s north, including Quebec,” he said. Regional carrier Shaw said it intends to use the spectrum to “improve current LTE service and lay the foundation for 5G” services. “We have made significant investments to improve the wireless experience for Canadians, becoming a true alternative to the incumbents, with a differentiated value proposition. The addition of this 600 MHz low band spectrum will not only vastly improve our current LTE service but will also serve as a foundational element of our 5G strategy providing innovative and affordable wireless services,” Shaw’s CEO Brad Shaw said in a statement. Vancouver-based national carrier Telus said the results of the auction will help deliver better mobile broadband connectivity, especially as the industry transitions from 4G to 5G. While the carrier secured 12 licences and invested $931 million, Entwistle said the inflated cost per spectrum block was challenging. “The average price per MHz-pop paid by the national carriers in the open auction was $1.08 higher on average than what was paid by those in the set aside, which equates to an approximate subsidy of $1.1 billion by Canadian taxpayers. Disappointingly, the design of the 600 MHz auction resulted in the highest prices paid for 600 MHz spectrum in the world. “In the U.S., for example, providers paid on average $0.93 per MHz-pop. By contrast, Canadian national carriers paid on average roughly two times as much, at $1.89 MHz-pop,” he said.